Many holdalls in the market but Sensas have a really good practical holdall that can be purchased in 2 and 4 section versions of length 1.55m and 1.7m respectively. Construction is well solid and it really does protect your precious rods. MAS stalwart David with a decent appraisal of the new luggage out of the Sensas school of sensible fishing tackle engineering. 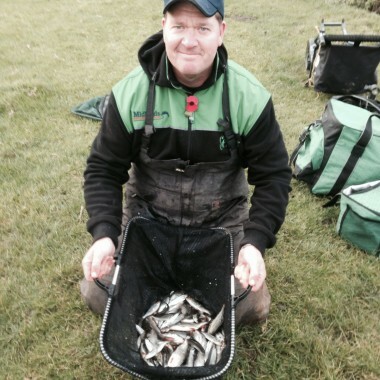 Jamie an excellent all rounder and one of the MAS - SVWL river anglers who as done exceptionally well in tough leagues. The Sensas riddle bag is a useful bag and generous in size. It has a mesh window that allows air to circulate and prevents mould on your riddles. It's easily large enough for your groundbait, maggot and pinkie riddles but you can also fit in a sensas round bowl which is large enough to mix around 3 kilos of groundbait. The space between the bowl and riddle can also be filled with a sensas Square bowl or empty bait box. A useful storage bag. Top rod from the MAS stable reviewing a rather useful bit of kit from those clever people at SENSAS. I first used MS floats some 5 years ago when living and fishing in Sweden and have purchased ever since . The floats are that good ! , pure hand quality. 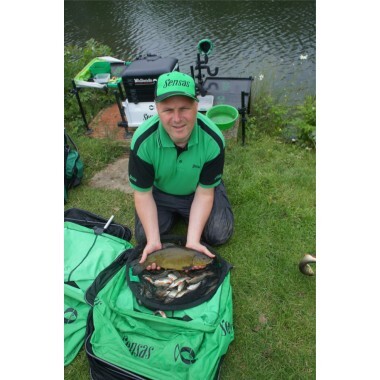 New man to the MAS stable , Mark Footit has joined the ranks and is enjoying all sections of angling.